The research activities of the group are focused on the development, study, and application of novel coherent light sources with tailorable properties in wavelength regions inaccessible to conventional lasers and other existing technologies. We exploit optical frequency conversion techniques in novel nonlinear materials and deploy innovative design architectures to provide tunable radiation in new and difficult spectral regions from the UV and visible to the near- and mid-IR. We develop light sources based on harmonic generation and mixing, optical parametric generation and amplification, and optical parametric oscillators (OPOs) in all temporal domains from the continuous-wave (cw) to the ultrafast femtosecond time-scales. The innovative light sources developed in our group offer great practical utility for a variety of scientific and technological applications including spectroscopy, trace gas detection and environmental sensing, quantum information, frequency metrology and synthesis, photochemistry, optical microscopy, biophotonics, and nanotechnology. Another important focus of our research efforts is knowledge transfer from the science base into industry through technology transfer activities, commercial innovation and enterprise. We strive to develop cutting-edge frequency conversion technology for transfer from the research laboratory to commercial market for use in real scientific and industrial applications. Stable, high-power, Yb-fiber-based, picosecond ultraviolet generation at 355 nm using bismuth triborate S. Chaitanya Kumar, E. Sanchez Bautista, M. Ebrahim-Zadeh Opt. Lett. 40, 403-406 (2015) Highlighted in Virt. J. Biomedical Opt. P. G. Schunemann, M. Ebrahim-Zadeh Opt. Lett. 36, 3236-3238 (2011) Highlighted in Virt. J. Biomedical Opt. 13.1 W, high-beam-quality, narrow-linewidth continuous-wave fiber-based source at 970 nm K. Devi, S. Chaitanya Kumar, M. Ebrahim-Zadeh Opt. Express 19, 11631-11637 (2011) Highlighted in Virt. J. Biomed. Opt. Interferometric output coupling of ring optical oscillators S. Chaitanya Kumar, A. Esteban-Martin, M. Ebrahim-Zadeh Opt. Lett. 36, 1068-1070 (2011) Highlighted in Nature Photon. Continuous-wave optical parametric oscillator pumped by a fiber laser green source at 532 nm G. K. Samanta, S. Chaitanya Kumar, R. Das, M. Ebrahim-Zadeh Opt. Lett. 34, 2255-2257 (2009) Highlighted in Virt. J. Ultrafast Sci. Actively mode-locked continuous-wave singly-resonant mid-infrared optical parametric oscillator K. Devi, S. Chaitanya Kumar, M. Ebrahim-Zadeh Mid-Infrared Coherent Sources, MICS-2013, Paris, France, October 2013 Paper: MW2C.4. 2014-07-29 UPC PhD Thesis Awards The UPC recognizes Dr. Chaitanya Kumar Suddapalli with the 2014 Extraordinary PhD Thesis Award. 2014-07-09 Pre-commercial prototype development project Prof. Majid Ebrahim-Zadeh to lead project through Valtec funding scheme. 2013-10-24 Congratulations to New ICFO PhD graduate Dr. Kavita Devi graduated with a thesis in “Continuous-wave optical parametric oscillators and frequency conversion sources from the ultraviolet to the mid-infrared”. 2012-11-19 Record Download in Nonlinear Optics A paper by the group led by Prof. Majid Ebrahim-Zadeh hits a record number of downloads in OSA journals. 2012-09-13 MIRSURG achievements in Research *EU Results Magazine ICFO participates in the creation of prototype compact all-solid-state laser system for minimally invasive neurosurgery. 2012-03-23 SPIE honors new Fellows Prof. Majid Ebrahim-Zadeh elected SPIE Fellow for achievements in optical parametric sources and nonlinear frequency conversion technology. 2012-01-19 Congratulations to New ICFO PhD Graduate Dr. Chaitanya Kumar graduated with a thesis on Optical Parametric Oscillators. 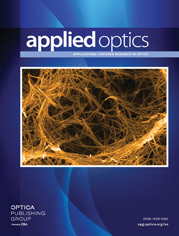 2012-01-15 ICFO in Applied Optics Advances on second-harmonic-generation by the group led by Prof. Ebrahim-Zadeh on the cover of Applied Optics. 2011-11-01 A New Breakthrough in OPOs Laser Focus World highlights new advances in optical parametric oscillators by the group led by Prof. Ebrahim-Zadeh. 2011-06-08 Optical Oscillators Research at the group led by Prof. Majid Ebrahim-Zadeh highlighted in Nature Photonics. 2011-02-14 Breakthrough in Laser Harmonic Generation Research on second harmonic generation led by Prof. Majid Ebrahim-Zadeh is World News in Laser Focus World. 2010-07-20 Leibinger Awards Ceremony Ceremony held in Germany on July 9, 2010. Among the awardees was ICFO Prof. Majid Ebrahim-Zadeh. 2010-05-31 Berthold Leibinger Prize Prof. Majid Ebrahim-Zadeh awarded for his research and development achievements in laser technology. 2010-03-17 ICFO Awarded in India The PhD thesis of ICFO Postdoctoral Researcher Dr. Goutam Kumar Samanta awarded by the Indian Laser Association. 2010-03-05 ICFO in OSA Handbook The new OSA Handbook of Optics highlights on its cover research by the group led by Prof. Majid Ebrahim-Zadeh. 2009-09-07 Frequency Conversion in BIBO Prof. Majid Ebrahim-Zadeh reviews the recent advances on the nonlinear crystal BIBO. 2009-07-01 New ICFO PhD Graduate Dr. Goutam Kumar Samanta obtained his Doctoral Degree with a project on high power continuous-wave optical parametric oscillators from visible to near-infrared, supervised by Prof. Majid Ebrahim-Zadeh. 2009-05-19 SAUUL Meeting at ICFO The members of the Consolider Ingenio 2010 SAUUL project gathered in Barcelona on May 14th and 15th. 2009-01-05 Blue Laser Highlighted in Optics&Laser Europe Research by Prof. Ebrahim-Zadeh’s group on extended tunability of solid-state blue laser highlighted in the magazine. 2008-08-26 ICFO in Laser Focus World Research by Prof. Ebrahim-Zadeh’s group on extended tunability of solid-state blue laser reported as a Newsbreak in the magazine. 2008-08-26 ICFO in Optics.org Research by Prof. Ebrahim-Zadeh’s group on extended tunability of solid-state blue laser reported in Optics.org. 2008-06-02 New European Project Kicks-off at ICFO ICFO hosts the kick-off a new collaborative project within the 7th Framework Programme of the European Community. 2005-06-10 First spin-off from ICFO at LASER 2005 Exhibition Radiant Light, the new Hi-Tech photonic company, will be launched at the world’s largest exhibition of laser and optical technology.